In the morning of the 27th of November 2018, the leading global event of the MICE industry - the IBTM World, opened its doors not just to exhibitors and hosted buyers, but also to some new records! Yesterday morning the IBTM portfolio’s flagship show, the IBTM World, opened its doors. In its 31st edition, this is still the leading global event for the meetings, incentives, conferences and events industry. Taking place in Barcelona, the show brings more than 3,000 exotic destinations and quality suppliers ready to meet and network with more than 15,000 elite MICE delegates from around 150 countries. The exhibitors are global suppliers to the meetings, events and incentives industry. This year the IBTM World is on between the 27th and 29th of November. Buyers from around the globe arrived to Barcelona for three days of an inspiring programme of thought-provoking content, industry-leading networking, and endless business opportunities. Particularly, they are excited for over 70,000 pre-scheduled meetings that are set to take place over the three-day event. 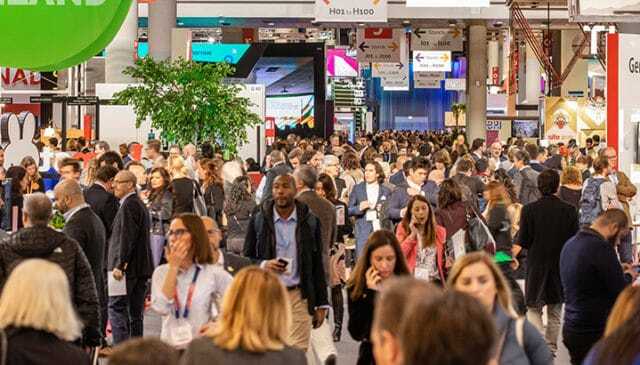 IBTM World has surpassed its previous record for pre-arranged meetings – a total of 77,651 business meetings have been booked ahead of this year’s event, 5% up on last year’s total. There has also been a 9% increase year-on-year in the average number of appointments per exhibitor, up from 25.1 to 27.4 for 2018. Furthermore, the latest figures show that 54 percent of Hosted Buyers are participating in the Hosted Buyer programme for the first time this year, up 20 percent on 2017; 50% of Hosted Buyers are completely new to the IBTM portfolio, an increase of 16% year-on-year; and 20% of Hosted Buyers are corporate buyers – 52% of whom are new to the IBTM portfolio. IBTM World is the leading global event for the meetings and events industry and its goal is to inspire the events world to deliver exceptional experiences. IBTM World provides the inspiration, business connections, and content that meeting planners need to create world-class events for their customers.